The Community Clinic Association of Los Angeles County (CCALAC) and our members share a common mission of supporting and expanding access to quality, comprehensive health care for every individual. Specifically, CCALAC's mission is "to promote free and community clinics as providers and advocates for expanding access to quality comprehensive health care for medically underserved people in Los Angeles County." Our vision is "to advance the health and human services of communities throughout Los Angeles county, creating a comprehensive health care system for underserved populations to help reduce health disparities in the county." 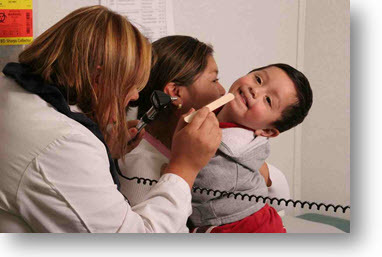 CCALAC represents non-profit community and free clinics that operate primary care sites throughout the county. Our members serve as the medical home for over 1,031,000 patients per year. Founded in 1994 as a project of the Los Angeles-based National Health Foundation, which was seeking ways to increase access to primary medical care in poor neighborhoods after the civil unrest in Los Angeles county, CCALAC obtained its IRS (501)(c)(3) tax exemption in 1996. Our organization has grown to be the largest regional association of community and free clinics in California. Community clinics provide primary health care, including medical, dental, and mental health services, to the uninsured, undersinsured, working poor, high-risk and vulnerable populations. They serve all, regardless of ability to pay. Need more information? Check out our FAQ about Community Clinics. CCALAC's central role is to help our members serve their patients in an efficient and cost-effective manner while they provide quality care. The association strives to identify and address the collective needs of our members at the local, state and federal levels. CCALAC delivers a variety of member services including policy advocacy, education and peer support. We connect clinics, share and leverage resources, increase organizational capacity, and raise a unified voice on behalf of clinics. Get more specifics about our services on our Services page.